On these pages we hope to include a comprehensive list of the scientific literature on ricebean, as well as relevant papers on related crops. Initially the list is alphabetical, we will organise into sections at a later date and will include links to the papers where copyright and availability permit. Wada K, Oh-Oka H, Matsubara H (1985) Ferredoxin isoproteins and their variation during growth of higher plants. Physiologie Végétale 23(5), 679-686. Wael TK (2009) Pollen grain micro sculpturing and its systematic applications in some taxa of Vigna savi (Leguminosae - Papilionoideae). Australian Journal of Basic and Applied Sciences 3(1), 136-141. Wagatsuma T, Ikarashi H, Ishii K (1985) Lead toxicity in crops - comprehensive studies on the environmental improvement for crop productions. Journal of the Yamagata Agriculture and Forestry Society(42), 65-74. Wagatsuma T, Kaneko M (1987) High toxicity of hydroxy-aluminium polymer ions to plant roots. Soil Science and Plant Nutrition 33(1), 57-67. Waghmare SS, Pokharkar RN (1974) Host preference studies of Aphis craccivora, Koch. Research Journal of Mahatma Phule Agricultural University 5(1), 28-35. Wakabayashi K, Nakano S, Soga K, Hoson T (2009) Cell wall-bound peroxidase activity and lignin formation in azuki bean epicotyls grown under hypergravity conditions. Journal of Plant Physiology 166(9), 947-954. Wakelin SA, Warren RA, Kong L, Harvey PR (2008) Management factors affecting size and structure of soil Fusarium communities under irrigated maize in Australia. Applied Soil Ecology 39(2), 201-209. Waliyar F, Sharma SB, Traore A (1998) Host preferences of plant parasitic nematodes associated with growth variability problem of groundnut in Niger. International Journal of Nematology 8(1), 1-4. Wanek W, Richter A (1995) Purification and characterization of myoinositol 6-O-methyltransferase from Vigna-umbellata Ohwi et Ohashi. Planta 197(3), 427-434. Wanek W, Richter A (1997) Biosynthesis and accumulation of D-ononitol in Vigna umbellata in response to drought stress. Physiologia Plantarum 101(2), 416-424. Wang C, Tschen JSM (1997) The development of adzuki bean mycorrhiza associated with Glomus mosseae. Bulletin of National Pingtung Polytechnic Institute 6(3), 163-174. Wang FJ, Wang TY, Wang FN (1991) Germplasm resources of grain legumes in Hainan Island. Crop Genetic Resources(No. 1), 7-10. Wang L, Cheng X, Wang S, Liang H, Zhao D, Xu N (2009a) Genetic diversity of adzuki bean germplasm resources revealed by SSR markers. Acta Agronomica Sinica 35(10), 1858-1865. Wang L, Cheng X, Wang S, Liu C, Liang H (2009b) Transferability of SSR from adzuki bean to mungbean. Acta Agronomica Sinica 35(5), 816-820. Wang L, Cheng X, Wang S, Xu N, Liang H, Zhao D (2009c) Genetic diversity among adzuki bean germplasm revealed by SSR markers. Scientia Agricultura Sinica 42(8), 2661-2666. Wang ML, Barkley NA, Gillaspie GA, Pederson GA (2008) Phylogenetic relationships and genetic diversity of the USDA Vigna germplasm collection revealed by gene-derived markers and sequencing. Genetics Research 90(6), 467-480. Wang P, Pan F, Hu Z, He S, Feng X (2004) Biodiversity and phylogeny of rhizobia strains isolated from rice bean (Vigna umbellata L.). Abstracts of the General Meeting of the American Society for Microbiology 104, 399. Wang QY, Jin WL (1995) Research on flower bud differentiation in adzuki bean. Journal of Nanjing Agricultural University 18(1), 15-20. Wang SM, Redden RJ, Hu Jiapeng JP, Desborough PJ, Lawrence PL, Usher T (2001) Chinese adzuki bean germplasm: 1. Evaluation of agronomic traits. Australian Journal of Agricultural Research 52(6), 671-681. Wang XC, Tian J, Li H (1992) Identification of salt tolerance in adzuki bean germplasm resources. Crop Genetic Resources(3), 25-26. Wang XW, Kaga A, Tomooka N, Vaughan DA (2004) The development of SSR markers by a new method in plants and their application to gene flow studies in azuki bean [Vigna angularis (Willd.) Ohwi & Ohashi]. Theoretical and Applied Genetics 109(2), 352-360. Wang Z, Dong M, Yu Z (1995) Studies on growth characters and productivities of different adzuki bean ecotypes in two sowing dates. Journal of Zhejiang Agricultural University 21(6), 637-641. Wani SH, Singh NB, Singh NG, Singh KN, Laishram JM (2007b) Stability of seed yield and its component characters in rice bean (Vigna umbellata) Thunb. Ohwi and Ohashi. Environment and Ecology 25S(Special 4), 1094-1098. Washitani I, Masuda M (1990) A comparative study of the germination characteristics of seeds from a moist tall grassland community. Functional Ecology 4(4), 543-557. Watanabe K, Taniguchi E (1986) Syntheses and plant growth-regulating activity of 2-substituted phenylacetic acid-derivatives. Agricultural and Biological Chemistry 50(8), 2047-2052. Watanabe N (1984) Comparative studies on ecology of the adzuki bean weevil, Callosobruchus chinensis (L.) and the cowpea weevil, C. maculatus (F.) (Coleoptera: Bruchidae). I. Effect of seed size on creeping of females into the pile. Japanese Journal of Applied Entomology and Zoology 28(4), 223-228. Watanabe N (1988) A new proposal for measurement of the adjusted mean crowding through consideration of size variability in habitat units. Researches on Population Ecology 30(2), 215-225. Watanabe S, Sato M, Shiina T, Usui N, Kato K (1986) Long-term storage and distribution of crop seeds for genetic resources at the Germplasm Seed Storage Center. Yatabe. Watanabe T (1981) Detection of Pythium deliense in the Ryukyu Islands and its ecological implication. Annals of the Phytopathological Society of Japan 47(4), 562-565. Wati RK, Theppakorn T, Benjakul S, Rawdkuen S (2009) Three-phase partitioning of trypsin inhibitor from legume seeds. Process Biochemistry 44(12), 1307-1314. Weder JKP (2002a) Identification of food and feed legumes by RAPD-PCR. Lebensmittel-Wissenschaft und -Technologie 35(6), 504-511. Weder JKP (2002b) Identification of plant food raw material by RAPD-PCR: legumes. Journal of Agricultural and Food Chemistry 50(16), 4456-4463. Wei S (1998) Identification of Vigna angularis germplasm resistance to Cercospora canescens. Crop Genetic Resources(3), 40. Weiss A, Hertel C, Grothe S, Ha D, Hammes WP (2007) Characterization of the cultivable microbiota of sprouts and their potential for application as protective cultures. Systematic and Applied Microbiology 30(6), 483-493. Whitbread AM, Clem RL (2006) Graze to grain - measuring and modelling the effects of grazed pasture leys on soil nitrogen and sorghum yield on a Vertosol soil in the Australian subtropics. Australian Journal of Agricultural Research 57(5), 489-500. Wijeratne PM (1998) Variation in egg and adult production of Callosobruchus maculatus (F.) and Callosobruchus chinensis (L.) and the effect of egg density and oviposition site limitation. Tropical Agricultural Research and Extension 1(2), 136-142. Wijeratne PM, Smith RH (1994) Frequency related oviposition behaviour and host seed preference of Brazil and Yemen strains of cowpea weevil (Callosobruchus maculatus (F.)). Tropical Agriculturist 150, 49-64. Wilson KA (1980) The release of proteinase inhibitors from legume seeds during germination. Phytochemistry 19(12), 2517-2519. Wong KH, Cheung PCK (1998) Nutritional assessment of three Chinese indigenous legumes in growing rats. Nutrition Research 18(9), 1573-1580. Wongvithoonyaporn P, Bucke C, Svasti J (1998) Separation, characterization, and specificity of alpha-mannosidases from Vigna umbellata. Bioscience Biotechnology and Biochemistry 62(4), 613-621. Wongwattana C, Ishizuka K (1988a) Herbicidal activity, absorption and translocation of clomeprop in plant seedlings. Weed Research, Japan 33(3), 191-199. Wongwattana C, Ishizuka K (1988b) Metabolism of clomeprop in plant seedlings. Weed Research, Japan 33(3), 200-208. Woo KC, James SH (1981) A pathway of ureide synthesis in N2-fixing nodules of tropical legumes. 390. Wood IM, Russell JS (1979) Grain legumes. 232-262. Wu H, Yuan F, Chen L, Duan Y (2001) Advances in soyabean cyst nematode and mechanism of soyabean resistance to Heterodera glycines. Soybean Science 20(4), 285-289. Wu M, Chou L, Wang L (2002) Antioxidant activities of azuki (Vigna angularis) beans and pods. Food Science and Agricultural Chemistry 4(2), 74-80. Wu SJ, Wang JS, Lin CC, Chang CH (2001) Evaluation of hepatoprotective activity of legumes. Phytomedicine 8(3), 213-219. Wu YL, Hsu CC, Chen KF (1985) The new azuki bean variety Kaohsiung 3. Taiwan Agriculture Bimonthly 21(1), 26-28. Wungsem R (2008) Germplasm evaluation of ricebean of Nagaland. Journal of Food Legumes 21(2), 143-144. Xie Y, Jin W, Wang Q (2009) Morphological and anatomical studies on vegetative organs of cultivated, semi-wild and wild Adzuki beans. Jiangsu Journal of Agricultural Sciences 25(1), 54-58. Xie Y, Xu J, Lu W, Lin G (2009) Adzuki bean: a new resource of biocatalyst for asymmetric reduction of aromatic ketones with high stereoselectivity and substrate tolerance. Bioresource Technology 100(9), 2463-2468. Xin C, Volkaert H, Chatwachirawong P, Srinives P (2008) Utilization of information from international observation trials for the introduction of new crops: an introduction of azuki bean varieties from China to Thailand. Journal of Crop Science and Biotechnology 11(1), 51-56. Xu D, Jia Z, Wang H, Zhu D, Pan X, Chen D, Zhou Y (2001) A new middle cowpea variety - 'Yangjiang No.40'. Acta Horticulturae Sinica 28(1), 90. Xu HX, Jing T, Tomooka N, Kaga A, Isemura T, Vaughan DA (2008) Genetic diversity of the azuki bean (Vigna angularis (Willd.) Ohwi & Ohashi) gene pool as assessed by SSR markers. Genome 51(9), 728-738. Xu N, Cheng X, Wang L, Wang S, Liu C, Sun L, Mei L (2009) Screening and application of SSR molecular markers for genetic diversity analysis of Chinese adzuki bean germplasm resources. Acta Agronomica Sinica 35(2), 219-227. Xu N, Cheng X, Wang S, Wang L, Zhao D (2008) Establishment of an adzuki bean (Vigna angularis) core collection based on geographical distribution and phenotypic data in China. Acta Agronomica Sinica 34(8), 1366-1373. Xu R, Tomooka N, Vaughan DA (2000a) AFLP markers for characterizing the adzuki bean complex. Crop Science 40(3), 808-815. Xu R, Tomooka N, Vaughan DA, Doi K (2000b) The Vigna angularis complex: genetic variation and relationships revealed by RAPD analysis, and their implications for in situ conservation and domestication. Genetic Resources and Crop Evolution 47(2), 123-134. Xu W (1999) Experiments on epidemiology and life habit of the cowpea weevil (Callosobruchus maculatus F.). Zhejiang Nongye Kexue(5), 222-224. Xu Z, Nakajima M, Suzuki Y, Yamaguchi I (2002) Cloning and characterization of the abscisic acid-specific glucosyltransferase gene from adzuki bean seedlings. Plant Physiology 129(3), 1285-1295. Xu ZW, Huang WN, Zhang FM (1992) The accumulation of ureide and effect of some nitrogenous and carbonic compounds in germinating seedlings of adzuki bean (Vigna angularis). Journal of Fujian Agricultural College 21(2), 186-189. Yadav GL (1993) Effect of spacing and phosphorus levels on yield of moth bean (Vigna aconitifolia). Indian Journal of Agronomy 38(3), 513-514. Yadav GL (1998) Response of mothbean varieties to row spacings and phosphorus levels. Indian Journal of Pulses Research 11(1), 38-42. Yadav GL, Jat BL (2005) Intercropping of mothbean varieties with pearlmillet for sustainable crop production in arid eco-system. Indian Journal of Pulses Research 18(2), 252-253. Yadav MK, Vyas SR (1971) Response of root-nodule rhizobia to saline, alkaline and acid conditions. Indian Journal of Agricultural Sciences 41(10), 875-881. Yadav MS, Bhagat PD, Tomar AS, Prasad RD (2007) Impact of moth bean var. RMO-40 at farmers field in arid zone. Journal of Arid Legumes 4(2), 139-141. Yadav RS, Sharma SK, Poonia BL, Dahama AK (2004) Selectivity and phytotoxicity of oxadiargyl on cumin and weeds and its residual effect on succeeding mothbean and pearl millet. Indian Journal of Weed Science 36(1/2), 83-85. Yadav RS, Tarafdar JC (2001) Influence of organic and inorganic phosphorus supply on the maximum secretion of acid phosphatase by plants. Biology and Fertility of Soils 34(3), 140-143. Yadav SR, Bhargava MC (2005a) Developmental response of Callosobruchus maculatus (Fab.) to different varieties/genotypes of mothbean [Vigna aconitifolia (Jacq.) Marechal]. Journal of Plant Protection and Environment 2(1), 68-74. Yadav SR, Bhargava MC (2005b) Evaluation of seed protectants against the pulse beetle, Callosobruchus maculatus (Fab.) infesting stored mothbean [Vigna aconitifolia (Jacq.) Marechal]. Journal of Plant Protection and Environment 2(2), 12-16. Yadav US, Walia RK (1988) On the biology of pigeonpea cyst nematode, Heterodera cajani Koshy, 1967. Indian Journal of Nematology 18(1), 35-39. Yadava ND (1992) Studies on strip cropping of pearlmillet + arid legumes in rainfed arid western Rajasthan. Current Agriculture 16(1-2), 89-92. Yadava ND, Beniwal RK (2006a) Performance of mothbean varieties to spacing and fertilizer application in arid western Rajasthan under rainfed condition. Journal of Arid Legumes 3(2), 64-65. Yadava ND, Beniwal RK (2006b) Production potential of arid legume based intercropping system in arid western Rajasthan. Current Agriculture 30(1/2), 49-52. Yadava ND, Gupta IC (1988) Strip cropping with sesame pays in arid zone. Indian Farming 38(3), 6-7. Yadava ND, Gupta IC (1989) Effect of planting systems on different kharif pulses under rainfed condition during subnormal rainfall year and drought year in western Rajasthan. Current Agriculture 13(1-2), 89-93. Yadava ND, Gupta IC (1992) Studies on drought resistance on kharif crops of western Rajasthan. Annals of Agricultural Research 13(2), 202-204. Yadava ND, Rathore VS, Beniwal RK (2005) Production potential of legume based intercropping system under hyper arid condition of Rajasthan. 2(2), 230-232. Yadava ND, Soni ML, Beniwal RK (2005) Productivity of arid legumes on deposited and eroded soils under arid rainfed situation of western Rajasthan. 2(2), 237-240. Yamada E, Sakuma F, Hashizume K, Takahashi M, Fukuhara Y, Kobayashi K, Kondo N (2005a) Effect of Pratylenchus penetrans on the infection of brown stem rot in adzuki bean. Japanese Journal of Nematology 35(2), 71-77. Yamada E, Sakuma F, Hashizume K, Takahashi M, Fukuhara Y, Kobayashi K, Kondo N (2005b) Seasonal occurrence of Pratylenchus penetrans, Heterodera glycines and Phialophora gregata f.sp. adzukicola as affected by the cultivation of green manure crops. Japanese Journal of Nematology 35(2), 79-86. Yamada S, Takeoka A, Yamanouchi M (2002) 22Na+ and 36Cl- mobility in salinized excised leaves of several crop plants. Soil Science and Plant Nutrition 48(1), 23-29. Yamada T, Moriyama R, Hattori K, Ishimoto M (2005) Isolation of two α-amylase inhibitor genes of tepary bean (Phaseolus acutifolius A. Gray) and their functional characterization in genetically engineered azuki bean. Plant Science 169(3), 502-511. Yamada T, Teraishi M, Hattori K, Ishimoto M (2001) Transformation of adzuki bean by Agrobacterium tumefaciens. Plant Cell, Tissue and Organ Culture 64(1), 47-54. Yamagata H (1981) Fruits and perspectives of mutation breeding. Gamma Field Symposia(20), 11-40. Yamagi N, Yoshida T, Inaba K, Mitsunaga T (1996) Changes in trypsin inhibitors of leguminous seeds during germination. Memoirs of the Faculty of Agriculture of Kinki University(29), 69-75. Yamaguchi H (1992) Wild and weed azuki beans in Japan. Economic Botany 46(4), 384-394. Yamaguchi H, Nikuma Y (1996) Biometric analysis on classification of weed, wild and cultivated azuki beans. Weed Research, Japan 41(1), 55-62. Yamaguchi T, Wakizuka T (1987) Stimulation of growth in aged crops' seeds by treatment with plant growth regulators. International Botanical Congress Abstracts 17, 139. Yamamoto H (1994) Studies on taxonomy of the causal fungus of brown stem rot of adzuki bean and soyabean, Phialophora gregata (Allington et Chamberlain) Gams. Memoirs of the Faculty of Agriculture, Hokkaido University 19(1), 57-98. Yamamoto H, Kobayashi K, Ogoshi A (1990) Isozyme polymorphism in Phialophora gregata isolates from adzuki bean and soybean in Japan. Annals of the Phytopathological Society of Japan 56(5), 584-590. Yamamoto H, Kobayashi K, Ogoshi A (1991) Comparison of culture characteristics of Phialophora gregata f.sp. adzukicola and sojae in Japan. Transactions of the Mycological Society of Japan 32(4), 529-533. Yamamoto H, Kobayashi K, Ogoshi A (1993) Restriction fragment length polymorphisms in mitochondrial DNA of Phialophora gregata in Japan. Transactions of the Mycological Society of Japan 34(4), 465-471. Yamamoto R, Inouhe M, Masuda Y (1988) Galactose inhibition of auxin-induced growth of mono- and dicotyledonous plants. Plant Physiology 86(4), 1223-1227. Yamamoto Y, Sano CM, Tatsumi Y, Sano H (2006) Field analyses of horizontal gene flow among Vigna angularis complex plants. Plant Breeding 125(2), 156-160. Yamanouchi M (1979) Boron nutrition in crop plants. Bulletin of the Faculty of Agriculture, Tottori University 31, 37-91. Yamanouchi M, Akitomo M, Fujimoto T, Nagai T (1994) Effects of different kinds of sodium salts on the absorption of K+, Ca2+ and Mg2+ in 12 crop varieties. Japanese Journal of Soil Science and Plant Nutrition 65(2), 157-164. Yamashita K (1991) Occurrence of azuki bean mosaic disease in Nanbu region of Aomori Prefecture. Annual Report of the Society of Plant Protection of North Japan(42), 40-41. Yamazaki M, Lopez PL, Kaku K (1988) The bioavailability of nutrients in some philippine feedstuffs to poultry. Jarq 22(3), 229-234. Yamazaki T, Takaoka M, Katoh E, Hanada K, Sakita M, Sakata K, Nishiuchi Y, Hirano H (2003) A possible physiological function and the tertiary structure of a 4-kDa peptide in legumes. European Journal of Biochemistry 270(6), 1269-1276. Yamini KN, Gomathinayagam P, Devasena N, Mohanbabu R (2001a) Isozyme analysis of interspecific hybrids of Vigna spp. Journal of Soils and Crops 11(1), 36-39. Yamini KN, Gomathinayagam P, Devasena N, Punitha D (2001b) Studies on crossability of green gram with V. sublobata, V. aconitifolia and V. trilobata. Journal of Soils and Crops 11(1), 17-23. Yang JL, You JF, Li YY, Wu P, Zheng SJ (2007) Magnesium enhances aluminum-induced citrate secretion in rice bean roots (Vigna umbellata) by restoring plasma membrane H+-ATPase activity. Plant and Cell Physiology 48(1), 66-73. Yang JL, Zhang L, Li YY, You JF, Wu P, Zheng SJ (2006) Citrate transporters play a critical role in aluminium-stimulated citrate efflux in rice bean (Vigna umbellata) roots. Annals of Botany 97(4), 579-584. Yang R, Hsieh FS, Horng S (2006) Effects of search experience in a resource-heterogeneous environment on the oviposition decisions of the seed beetle, Callosobruchus maculatus (F.). Ecological Entomology 31(4), 285-293. Yang RJ, Han YG (1994) Geographical distribution of Vigna angularis var. nipponensis in the Liaoning province of China and artificial crossing between it and V. angularis var. angularis. Acta Agronomica Sinica 20(5), 607-613. Yano A, Yasuda K, Yamaguchi H (2004) A test for molecular identification of Japanese archaeological beans and phylogenetic relationship of wild and cultivated species of subgenus Ceratotropis (Genus Vigna, Papilionaceae) using sequence variation in two non-coding regions of the trnL and trnF genes. Economic Botany 58, S135-S146. Yao A, Feng B, Chai Y, Gao J, Liu J, Xue S, Zhu R (2008) Effects of different tillage techniques on yield and water use efficiency in minor grain crops. Agricultural Research in the Arid Areas 26(1), 97-101. Yao BY (1986) The development of systems to give three rice crops per year. Jiangsu Agricultural Science (Jiangsu Nongye Kexue)(9), 7-8. Yao X, Zhang J (2008) Research on preparation of bean mash with chestnut kernel. Modern Food Science and Technology 24(9), 927-929. Yasuda K, Yamaguchi H (1996a) Phylogenetic analysis of the subgenus Ceratotropis (genus Vigna) and an assumption of the progenitor of azuki bean using isozyme variation. Breeding Science 46(4), 337-342. Yasuda K, Yamaguchi H (1998) Life history of wild and weed azuki beans under different weeding conditions. Journal of Weed Science and Technology 43(2), 114-121. Yasuda K, Yamaguchi H (2006) Growth and seed production in wild and weed azuki beans under shading conditions. Journal of Weed Science and Technology 51(2), 61-68. Yasui T, Hase S (1978) Quantitative determination of oligosaccharides in beans and their products by gas-liquid chromatography. Journal of the Japanese Society of Starch Science 25(4), 234-239. Yasui T, Tateishi Y, Ohashi H (1985a) Distribution of low molecular weight carbohydrates in the subgenus Ceratotropis of the genus Vigna (Leguminosae). Botanical Magazine 98(1049), 75-87. Ye JS, Shan FH (1994) A study on the high-yield cultivation technology for adzuki bean. Beijing Agricultural Sciences 12(2), 16-19. Ye XY, Ng TB (2002a) A new antifungal peptide from rice beans. Journal of Peptide Research 60(2), 81-87. Ye XY, Ng TB (2002b) Purification of angularin, a novel antifungal peptide from adzuki beans. Journal of Peptide Science 8(3), 101-106. Yee E, Kidwell KK, Sills GR, Lumpkin TA (1999) Diversity among selected Vigna angularis (azuki) accessions on the basis of RAPD and AFLP markers. Crop Science 39(1), 268-275. Yeh MS (1986) seed coat variation in Phaseolus and Vigna species (Leguminosae) by SEM. Journal of the Agricultural Association of China(136), 46-54. Yin S, Zhang Y, Tao P, Deng X, Yin B (2008) Effects of day-length at seedling stage on growth, development and yield of adzuki bean. Scientia Agricultura Sinica 41(8), 2286-2293. Yogesh V, Satija CK (1992b) Cytogenetical characterization of wild and cultivated species of Vigna. Crop Improvement 19(2), 104-108. Yokoi Y, Kimura M, Hogetsu K (1978) Quantitative relationships between growth and respiration. 1. Components of respiratory loss and growth efficiencies of etiolated red bean seedlings. Botanical Magazine, Tokyo 91(1021), 31-41. Yokoyama T, Tomooka N, Okabayashi M, Kaga A, Boonkerd N, Vaughan DA (2006b) Variation in the nod gene RFLPs, nucleotide sequences of 16S rRNA genes, Nod factors, and nodulation abilities of Bradyrhizobium strains isolated from Thai Vigna plants. Canadian Journal of Microbiology 52(1), 31-46. 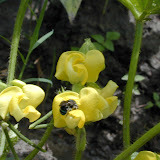 Yoneyama T, Kondo M (1990) Sesbania spp., Aeschynomene indica and Crotalaria spp. are amide-exporters. Soil Science and Plant Nutrition 36(4), 689-693. Yoneyama T, Ladha JK, Watanabe I (1987) Nodule bacteroids and Anabaena: natural 15N enrichment in the legume-Rhizobium and Azolla-Anabaena symbiotic systems. Journal of Plant Physiology 127(3/4), 251-259. Yoneyama T, Ohtani T (1983) Variations of natural 13C abundances in leguminous plants. Plant and Cell Physiology 24(6), 971-977. Yoneyama T, Yamada N, Kojima H, Yazaki J (1984) Variations of natural 15N abundances in leguminous plants and nodule fractions. Plant and Cell Physiology 25(8), 1561-1565. Yoon M, Doi K, Kaga A, Tomooka N, Vaughan DA (2000a) Analysis of the genetic diversity in the Vigna minima complex and related species in East Asia. Journal of Plant Research 113(1112), 375-386. Yoon MS, Lee J, Kim CY, Baek HJ (2007a) Genetic relationships among cultivated and wild Vigna angrularis (Willd.) Ohwi et Ohashi and relatives from Korea based on AFLP markers. Genetic Resources and Crop Evolution 54(4), 875-883. Yopp JH, Mandava NB, Sasse JM (1981) Brassinolide, a growth-promoting steroidal lactone. I. Activity in selected auxin bioassays. Physiologia Plantarum 53(4), 445-452. Yopp JH, Mandava NB, Thompson MJ, Sasse JM Activity of brassinosteroid in selected bioassays in combination with chemicals known to synergize or retard responses to auxin and gibberellin. 138-145. Yoshiba Y, Kiyosue T, Katagiri T, Ueda H, Mizoguchi T, Yamaguchi-Shinozaki K, Wada K, Harada Y, Shinozaki K (1995) Correlation between the induction of a gene for Δ1-pyrroline-5-carboxylate synthetase and the accumulation of proline in Arabidopsis thaliana under osmotic stress. Plant Journal 7(5), 751-760. Yoshida H, Saiki M, Tomiyama Y, Mizushina Y (2008) Positional distribution of fatty acids in triacylglycerols and phospholipids from adzuki beans (Vigna angularis). European Journal of Lipid Science and Technology 110(2), 158-163. Yoshida H, Tomiyama Y, Yoshida N, Mizushina Y (2009a) Characteristics of lipid components, fatty acid distributions and triacylglycerol molecular species of adzuki beans (Vigna angularis). Food Chemistry 115(4), 1424-1429. Yoshida H, Tomiyama Y, Yoshida N, Mizushina Y (2009b) Profiles of lipid components, fatty acid compositions and triacylglycerol molecular species of adzuki beans (Vigna angularis). Journal of the American Oil Chemists' Society 86(6), 545-552. Yoshida H, Tomiyama Y, Yoshida N, Saiki M, Mizushina Y (2008) Lipid classes, fatty acid compositions and triacylglycerol molecular species from adzuki beans (Vigna angularis). Journal of Food Lipids 15(3), 343-355. Yoshida H, Yoshida N, Tomiyama Y, Saiki M, Mizushina Y (2008) Distribution profiles of tocopherols and fatty acids of phospholipids in adzuki beans (Vigna angularis). Journal of Food Lipids 15(2), 209-221. Yoshida K (1987) Studies on seed size variation in grain legumes. Memoirs of the Faculty of Agriculture, Hokkaido University 15(4), 385-434. Yoshida K, Bando A, Yanagisawa K, Gotoh K (1986) Effects of TIBA (2,3,5-triiodobenzoic acid) on growth and yield of azuki bean, Vigna angularis. Japanese Journal of Crop Science 55(3), 345-351. Yoshida K, Sato H (1990) The extent and its source of variation for characteristics related to seed quality of adzuki beans. I. Seed size variation among growers' lots in Hokkaido area. Japanese Journal of Crop Science 59(3), 450-454. Yoshida K, Sato H, Sato M (1995) The extent of variation and its source for characteristics related to seed quality of adzuki beans. III. The water uptake of seeds and hardseededness. Japanese Journal of Crop Science 64(1), 7-13. Yoshida K, Sato H, Ueshima H, Ishii N, Sato M (1991) The extent and source of variation in seed quality characteristics in adzuki bean. 2. Variation in seed coat colour among growers batches in Hokkaido. Japanese Journal of Crop Science 60(2), 234-240. Yoshida K, Sato Y, Okuno R, Kameda K, Isobe M, Kondo T (1996) Structural analysis and measurement of anthocyanins from colored seed coats of Vigna, Phaseolus, and Glycine legumes. Bioscience, Biotechnology and Biochemistry 60(4), 589-593. Yoshida T, Gichuki EM (1983) Use of solar heat to control stored-product insect pests: bean depth. Scientific Reports of the Faculty of Agriculture Okayama University(61), 5-8. Yoshida T, Hayashi K, Toko K, Yamafuji K (1988) Effect of anoxia on the spatial pattern of electric potential formed along the root. Annals of Botany 62(5), 497-507. Yoshida T, Igarashi H, Shinoda K (1987) Life history of Callosobruchus chinensis (L.) (Coleoptera, Bruchidae). 471-477. Yoshikawa M, Ogura S, Tatsumi M (1977) Some properties of proteinase inhibitors from adzuki beans (Phaseolus angularis). Agricultural and Biological Chemistry 41(11), 2235-2239. Yoshioka SI (1981) Studies on applying waste water discharged from potato starch factories to arable land. Part 3. Effects of waste water application on the yield of upland crops and soil mineral nutrients. Research Bulletin of the Hokkaido National Agricultural Experiment Station(130), 99-112. Yoshiyasu Y, Nakajima T (2004) Host suitability of two leguminous plants for Matsumuraeses falcana (Lepidoptera: Tortricidae). Esakia(44), 211-215. Yost R, Evans D (1988) Green manure and legume covers in the tropics. (055), 44 pp. Yousif AM, Batey IL, Larroque OR, Curtin B, Bekes F, Deeth HC (2003) Effect of storage of adzuki bean (Vigna angularis) on starch and protein properties. Lebensmittel-Wissenschaft und -Technologie 36(6), 601-607. Yousif AM, Deeth HC (2003) Effect of storage time and conditions on the cotyledon cell wall of the adzuki bean (Vigna angularis). Food Chemistry 81(2), 169-174. Yousif AM, Deeth HC, Caffin NA, Lisle AT (2002) Effect of storage time and conditions on the hardness and cooking quality of adzuki (Vigna angularis). Lebensmittel-Wissenschaft und -Technologie 35(4), 338-343. Yousif AM, Kato J, Deeth HC (2003) Effect of storage time and conditions on the seed coat colour of Australian adzuki beans. Food Australia 55(10), 479-484. Yousif AM, Kato J, Deeth HC (2007) Effect of storage on the biochemical structure and processing quality of adzuki bean (Vigna angularis). Food Reviews International 23(1), 1-33. Yu S, Li R, Zhang R, Song Y, Zhang Z, Zhang D (2002) Fluorescence in situ hybridization ofΔ′-pyrroline-5-carboxylate synthetase (P5CS) gene on rice chromosome. Journal of Huazhong Agricultural University 21(1), 1-4. Yunes ANA, Andrade MTd, Sales MP, Morais RA, Fernandes KVS, Gomes VM, Xavier-Filho J (1998) Legume seed vicilins (7S storage proteins) interfere with the development of the cowpea weevil (Callosobruchus maculatus (F)). Journal of the Science of Food and Agriculture 76(1), 111-116. Zade VR, Dighe RS, Zode NG, Kausal RT (1992) Standardization of seed testing procedure for rice bean. Annals of Plant Physiology 6(2), 294-296. Zade VR, Zode NG, Dighe RS, Changade SP (1993) Seed development and maturation studies in ricebean: (Vigna umbellata Thumb). Annals of Plant Physiology 7(1), 68-72. Zaki FA, Bhatti DS (1986a) Effect of pigeon-pea cyst nematode, Heterodera cajani Koshy, 1967 on macro- and micro-nutrients of pigeon-pea and 'moth'. Indian Journal of Nematology 16(1), 103-105. Zaki FA, Bhatti DS (1986b) Pathogenicity of pigeon-pea cyst nematode, Heterodera cajani Koshy, 1967 on some pulse crops. Indian Journal of Nematology 16(1), 30-35. Zaroug M (1979) Studies on nutritional and symbiotic relations of tropical forage legumes. Dissertation Abstracts International, B 40(2), 522. Zaroug MG, Munns DN (1980) Screening strains of Rhizobium for the tropical legumes Clitoria ternatea and Vigna trilobata in soils of different pH. Tropical Grasslands 14(1), 28-33. Zeng Y, Liu F, Liu B, Fan Z (2006) Study on in vitro carbohydrate digestion rates of cereal foods. Journal of China Agricultural University 11(1), 95-99. Zhang C, Lu Q, Verma DPS (1995) Removal of feedback inhibition of Δ1-pyrroline-5- carboxylate synthetase, a bifunctional enzyme catalyzing the first two steps of proline biosynthesis in plants. Journal of Biological Chemistry 270(35), 20491-20496. Zhang M, Jin W, Wang J, Sun S, Qin X, Zhang Z (2007) Insecticidal efficacy of microwave treatment against Callosobruchus chinensis (L.) (Coleoptera: Bruchidae) and its effects on the germination rate of adzuki beans. Acta Entomologica Sinica 50(9), 967-974. Zhang NC, Lin CM (1992) Analysis of the ecological characteristics of food legumes. Crop Genetic Resources(1), 4-5. Zhang Y, Liu F, Jia R, Xie X (2009) Effect of seed-soaking in La (NO3)3 solution on growth and antioxidant enzyme activity of adzuki bean seedlings under saline-alkali stress. Journal of Ecology and Rural Environment 25(4), 12-18. Zhang Y, Liu JW, Zheng WJ, Wang L, Zhang HY, Fang GZ, Wang S (2008) Optimization and validation of enzyme-linked immunosorbent assay for the determination of endosulfan residues in food samples. Journal of Environmental Science and Health. Part B, Pesticides, Food Contaminants, and Agricultural Wastes 43(2), 127-133. Zhang Y, Yang C, Wang Y (2007) Cloning and analysis of metallothionein gene from Tamarix androssowii. Bulletin of Botanical Research 27(3), 293-296. Zhang Z, Zhou MD, Rao VR (2002) Plant genetic resources network in East Asia. Proceedings of the meeting for the regional network for conservation and use of plant genetic resources in East Asia, Ulaanbaatar, Mongolia, 13-16 August, 2001. vi + 137 pp. Zhao Q, Huang X, Lou Y, Weber N, Proksch P (2007) Effects of ethanol extracts from Adzuki bean (Phaseolus angularis Wight.) and Lima bean (Phaseolus lunatus L.) on estrogen and progesterone receptor phenotypes of MCF-7/BOS cells. Phytotherapy Research 21(7), 648-652. Zhao Q, Li B, Weber N, Lou Y, Proksch P (2005) Estrogen-like effects of ethanol extracts from several Chinese legumes on MCF-7 cell. European Food Research and Technology 221(6), 828-833. Zhao T, Feng G, Liu S (2000) A study of the accumulation and partitioning of nitrogen, phosphorus and potassium in adzuki bean (Phaseolus angularis). Journal of Hebei Agricultural University 23(3), 16-19. Zheng D (1992) Germplasm resources of food crops in Shennongjia and Sanxia regions. Crop Genetic Resources(2), 1-3. Zheng JY, Irifune K, Miyashita N, Terauchi R, Uchiyama H, Nakata M, Tanaka R, Morikawa H (1995a) Phylogenetic relationships between six species of Phaseolus and Vigna as determined by RFLP analysis of ribosomal DNA. Japanese Journal of Genetics 70(5), 615-625. Zheng JY, Nakata M, Irifune K, Tanaka R, Morikawa H (1993a) Fluorescent banding pattern analysis of eight taxa of Phaseolus and Vigna in relation to their phylogenetic relationships. Theoretical and Applied Genetics 87(1/2), 38-43. Zheng JY, Nakata M, Uchiyama H, Morikawa H, Tanaka R (1991a) Giemsa C-banding patterns in several species of Phaseolus L. and Vigna Savi, Fabaceae. Cytologia 56(3), 459-466. Zheng S (1995) Seed quality of summer adzuki bean in northern Kyushu. Report of the Kyushu Branch of the Crop Science Society of Japan(61), 75-76. Zheng S, Kawagoe Y (1998) Effect of summer sowing on the seed quality of azuki bean in northern Kyushu, Japan. Japanese Journal of Crop Science 67(4), 473-477. Zheng SH, Inouye J (1990) Comparison of elongation force, stem thickness and evolution of ethylene in seedlings of several epigeal leguminous crops. Japanese Journal of Crop Science 59(2), 277-282. Zheng SH, Inouye J (1991) The response to vertical load in seedlings of several epigeal leguminous crops. Japanese Journal of Crop Science 60(3), 421-426. Zheng SH, Jin ID, Inouye J (1993) Elongation inhibition, stem enlargement, and histological stem changes caused by vertical load in several epigeal leguminous crops. Japanese Journal of Crop Science 62(4), 502-508. Zheng SH, Kawabata M (2000) Exudation of amino acids and sugars from imbibing seeds of several leguminous crops. Japanese Journal of Crop Science 69(3), 380-384. Zhu B, Su J, Chang M, Verma DPS, Fan Y, Wu R (1998) Overexpression of a Δ1-pyrroline-5-carboxylate synthetase gene and analysis of tolerance to water- and salt-stress in transgenic rice. Plant Science (Limerick) 139(1), 41-48. Zhu W, Huang Q (1998) Studies on embryology of Vigna angularis (Willd) Ohiwi & Ohishi. I. The microsporogenesis, the development of male gametophytes and starch granule distribution. Journal of Hunan Agricultural University 24(2), 99-104. Zhu W, Sheng X, Huang Q, Zhao B (2000) Studies on embryology of Vigna angularis. II. The megasporogenesis and the development of female gametophytes. Journal of Hunan Agricultural University 26(3), 178-181. Zhu Z, Wang X (2003) Identification of pathogen causing Phytophthora, stem rot of adzuki bean and screening for resistant germplasm. Acta Phytophylacica Sinica 30(3), 289-294. Zink D, Schumann K, Nagl W (1994) Restriction fragment length polymorphisms of the phytohemagglutinin genes in Phaseolus and Vigna (Leguminosae). Plant Systematics and Evolution 191(3/4), 131-146. Zong X, Kaga A, Tomooka N, Wang X, Han O, Vaughan D (2003) The genetic diversity of the Vigna angularis complex in Asia. Genome 46(4), 647-658. Zong X, Vaughan D, Kaga A, Tomooka N, Wang X, Guan J, Wang S (2003a) Genetic diversity in Vigna angularis revealed by AFLP analysis. Acta Agronomica Sinica 29(4), 562-568. Zong X, Vaughan D, Tomooka N, Kaga A, Wang X, Guan J, Wang S (2003b) Preliminary study on geographical distribution and evolutionary relationships between cultivated and wild adzuki bean (Vigna angularis var. angularis and var nipponensis) by AFLP analysis. Scientia Agricultura Sinica 36(4), 367-374. Zong X, Vaughan D, Tomooka N, Kaga A, Wang X, Guan J, Wang S (2003c) Preliminary study on geographical distribution and evolutionary relationships between cultivated and wild adzuki bean (Vigna angularis var. angularis and var. nipponensis) by AFLP analysis. Plant Genetic Resources: Characterization and Utilization 1(2/3), 175-183.